ST. CLOUD, MN – The St. 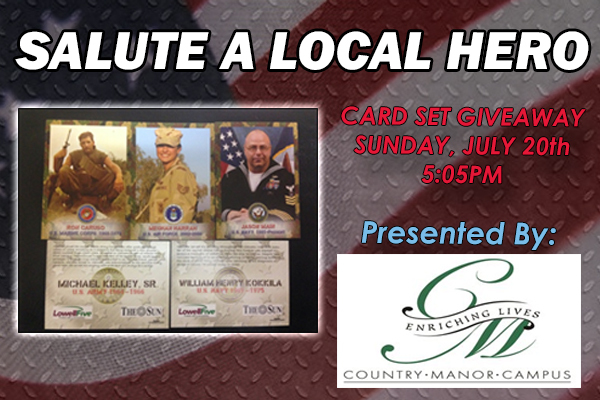 Cloud Rox have announced a partnership with Country Manor Health Care & Rehab Center to honor local members, active and retired, of our armed services with Military Appreciation Night featuring a Hero Baseball Card Set Giveaway. The non-traditional baseball card set will feature men and women from throughout the St. Cloud and Central Minnesota communities who have served our country. The 36 card set will be given away to the first 300 fans through the gate on Sunday, July 20 as the Rox take on the Green Bay Bullfrogs at 5:05 pm. The Rox are now calling on fans throughout the St. Cloud area to nominate their friends, family, co-workers and neighbors. 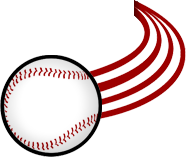 Nominations can be made at www.stcloudrox.com now through Monday, June 30th or by e-mailing Kyle@stcloudrox.com. *Hero Information (Military service time, background information) and why they are important to you in 75 words or less. For more information on the 2014 Rox Promotional Schedule and to purchase single game tickets for any of the 36 Rox home games please visit www.stcloudrox.com, call the Rox Office at 320-240-9798 or stop into the Rox Ticket Office located inside the West end of the MAC Ice Arena Monday-Friday 9am-5pm.